By Cheryl Fenton·	 9/7/2015, 9:00 a.m. When Matt Bechtel proposed to his sweetheart Molly Koch, it was overlooking their fair city of Boston on their Beacon Hill apartment roofdeck. On a gorgeous summer evening after a long day at work, she entered their home to find a trail of photographs, little notes, and scrapbook items from dinner and trips together. The path led through the apartment and ended high above the city on the roof, where Matt was waiting with flowers, champagne, and a ring. 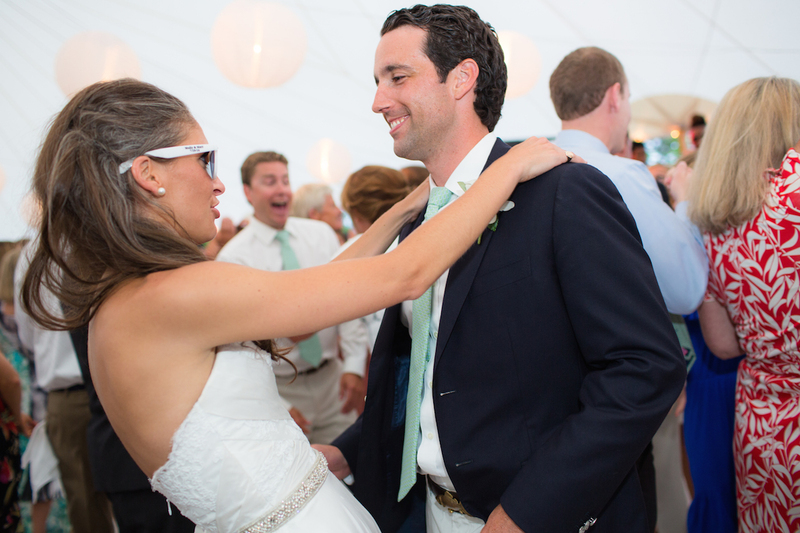 With a “yes” from Molly, the night was followed by an unforgettable weekend on the Cape with families to continue the celebration. 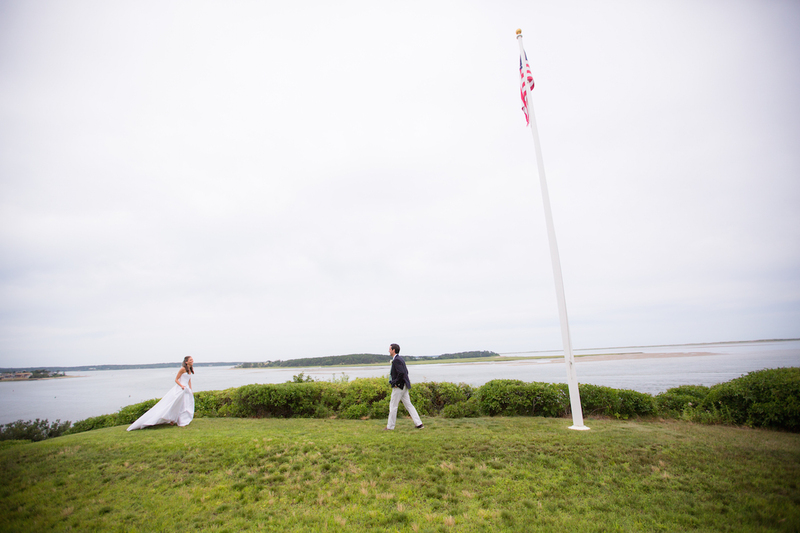 And the wedding was to be held on the Cape as well: With their family history steeped in time on the open ocean, they decided to plan a Chatham wedding. 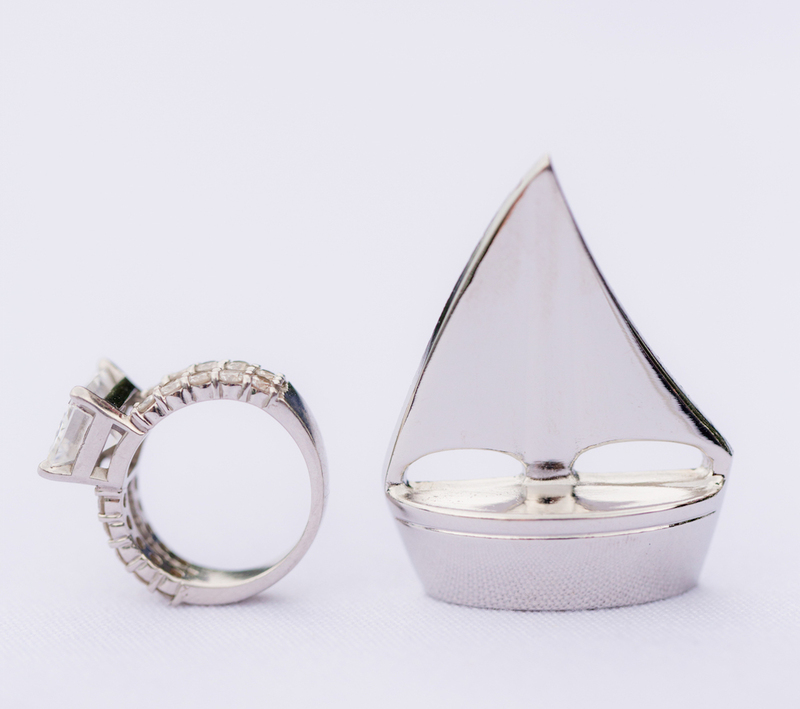 Here are a few details from their big day. 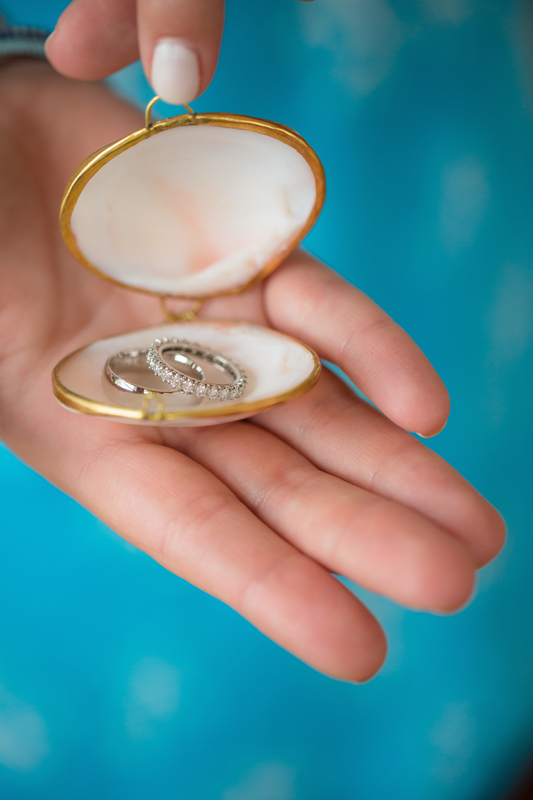 The rings were carried down the aisle in a perfect little gilded package from the sea. 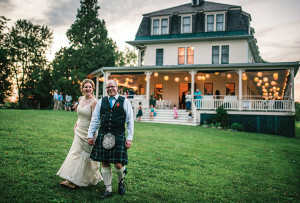 The couple’s first look was taken at outside the bride’s mom’s family home in North Chatham, a summer house in her family for four generations with views of Strong Island and Pleasant Bay. The wedding party takes their place in front of the bride’s family boat house. 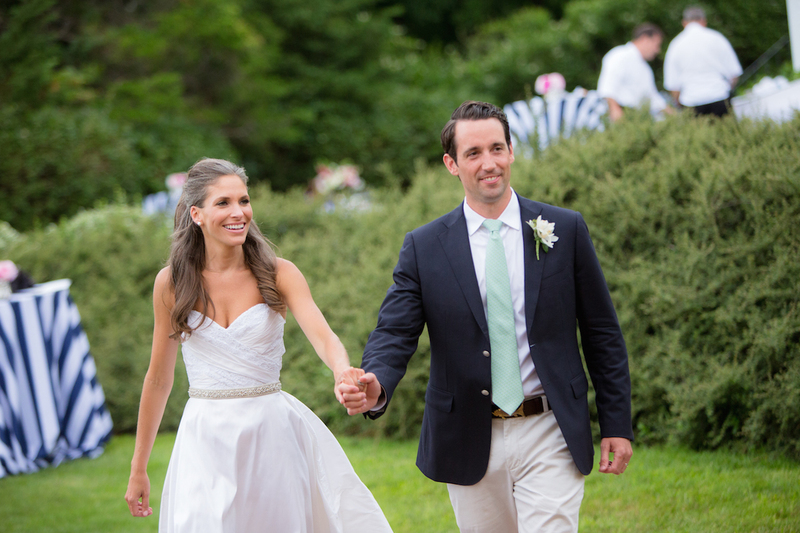 The ceremony and reception were held in front of the bride’s dad’s summer home in Chatham. 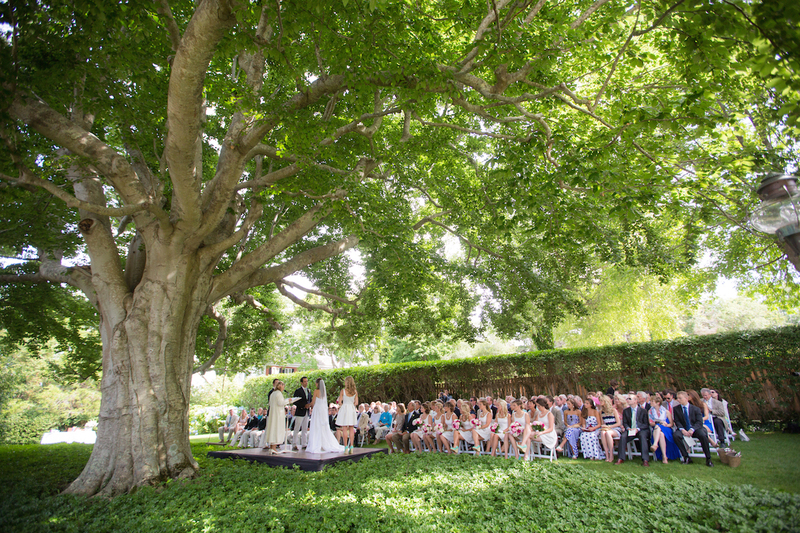 “The tree was very symbolic of our wedding vows and representative of marriage to us as a couple. It was very much part of the ceremony and readings,” she says. 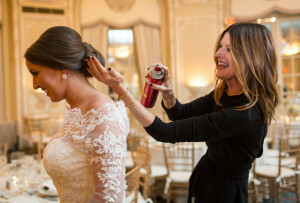 After choosing white bridesmaid dresses, Molly wanted to include a pop of color. 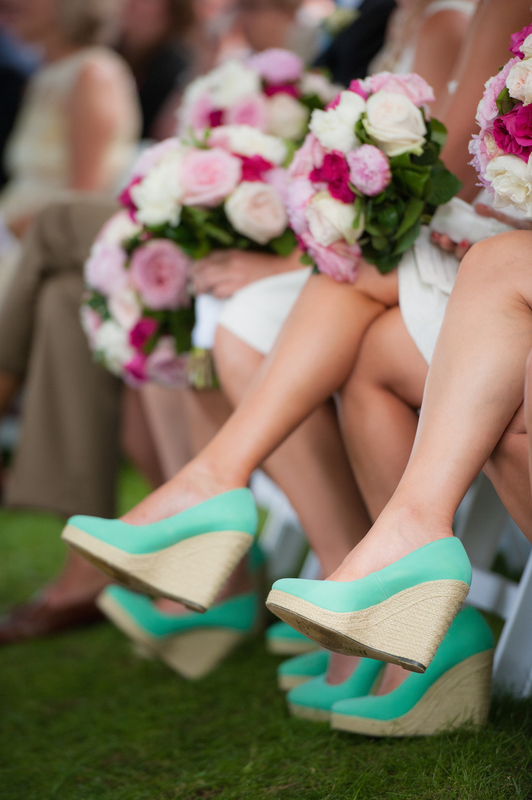 These green wedges echoed the green of the groomsmen’s ties for a nice balance. 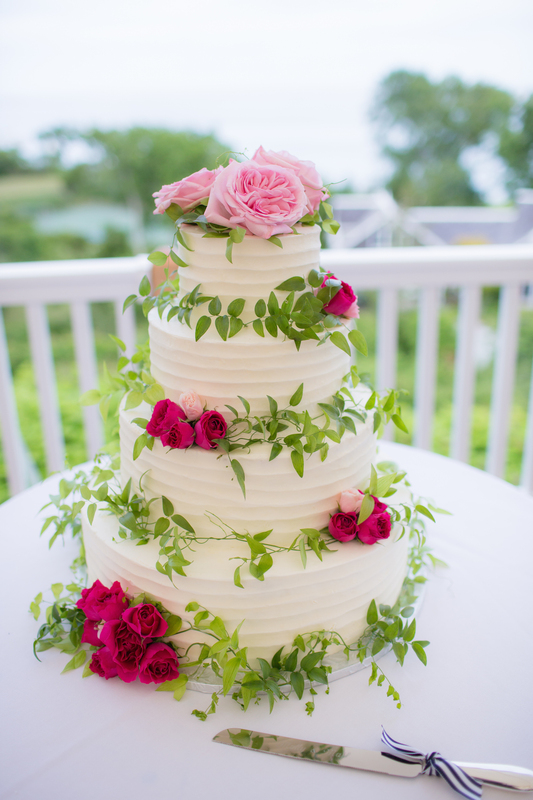 The wedding confection was a “vintage wedding cake”—alternating tiers of dark chocolate cake with mocha mousse filling and lemon zest cake with strawberry cream filling. 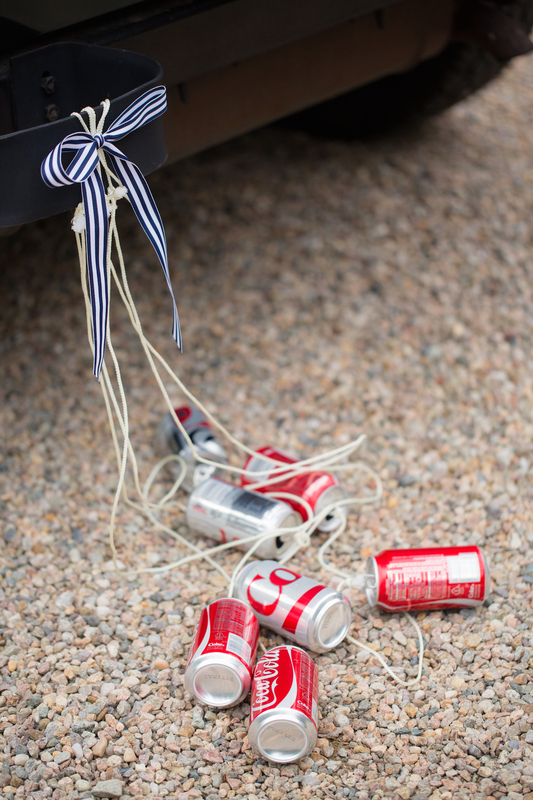 Playing off the bride’s maiden name “Koch” (pronounced “Coke”), the couple adorned their getaway car with soda cans. 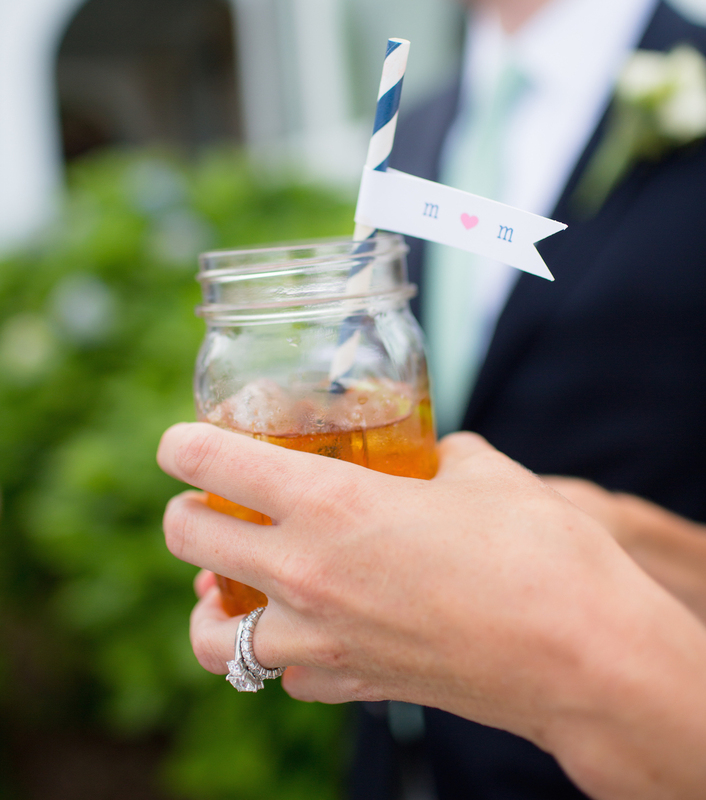 The couple offered two signature drinks served in mason jars: Lighthouse Lemonade, with light blue straws, raspberries, and lemon slices bobbing in Absolut vodka, raspberry lemonade, and a dash of Chambord; and a Dark and Stormy with navy blue straws and lime wedges. 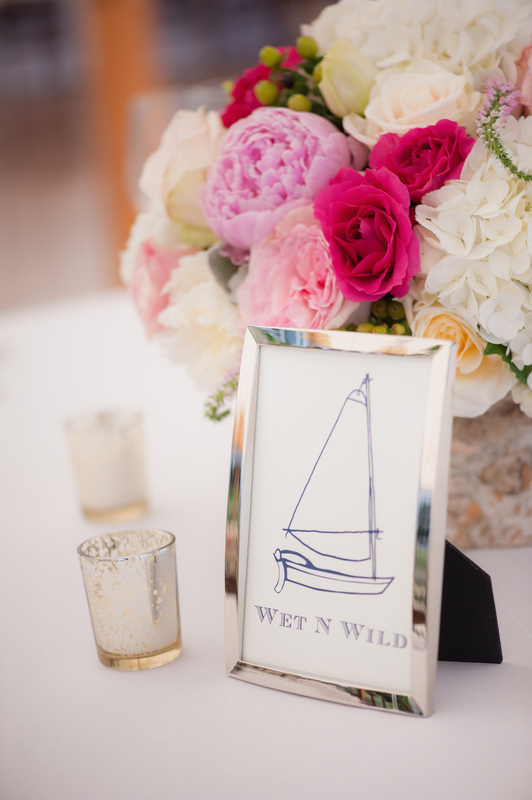 The celebration featured several nautical nods to both families’ love of boating, including this place card holder in the shape of a sailboat. 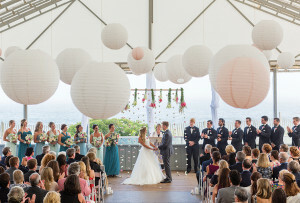 “We had [sunglasses] in the welcome bags for guests at their hotel and in baskets around the ceremony and by the dance floor, in case it was really bright,” explains Molly.